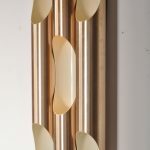 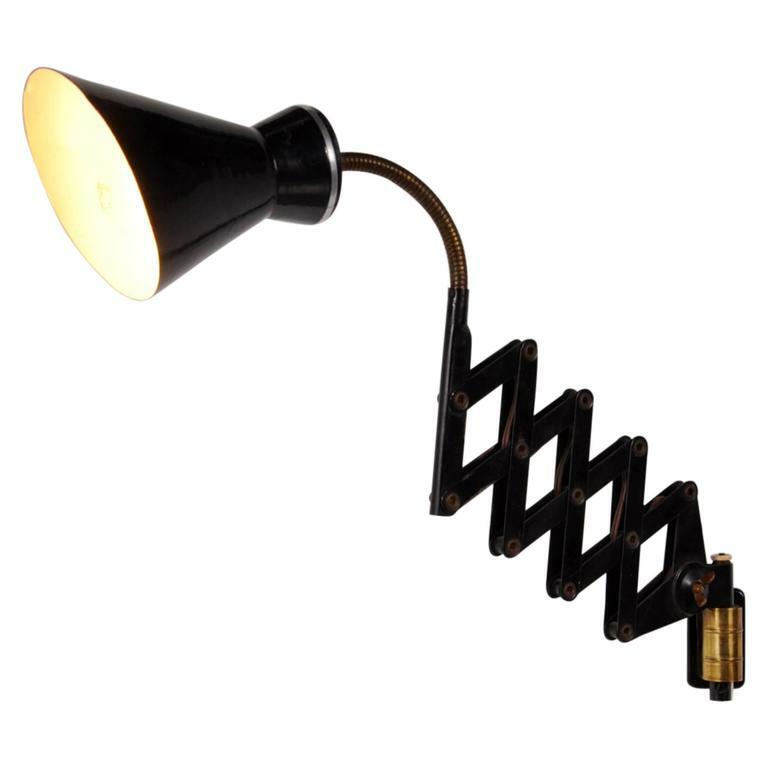 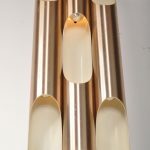 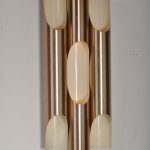 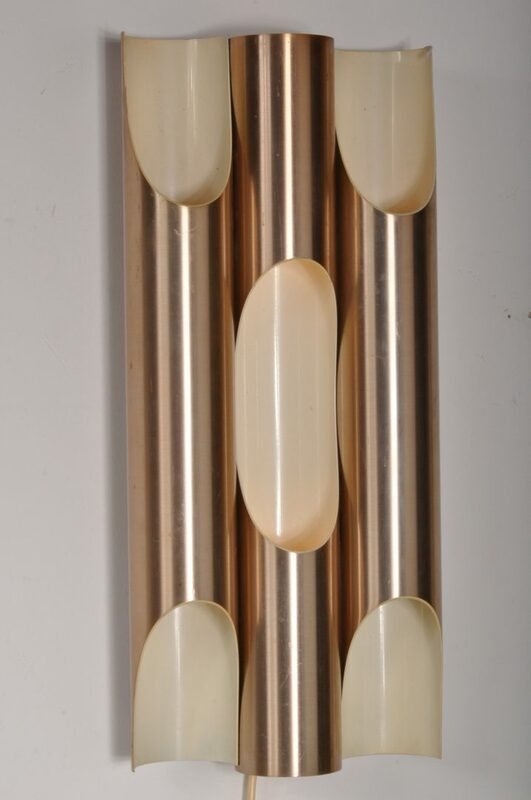 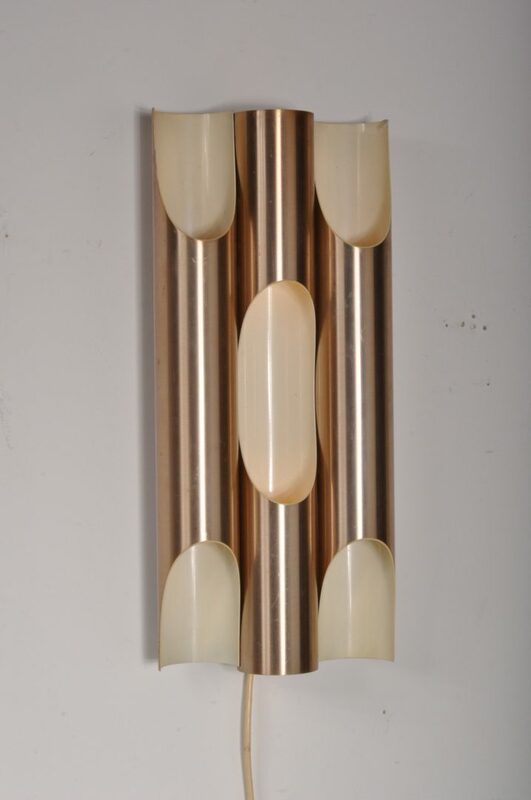 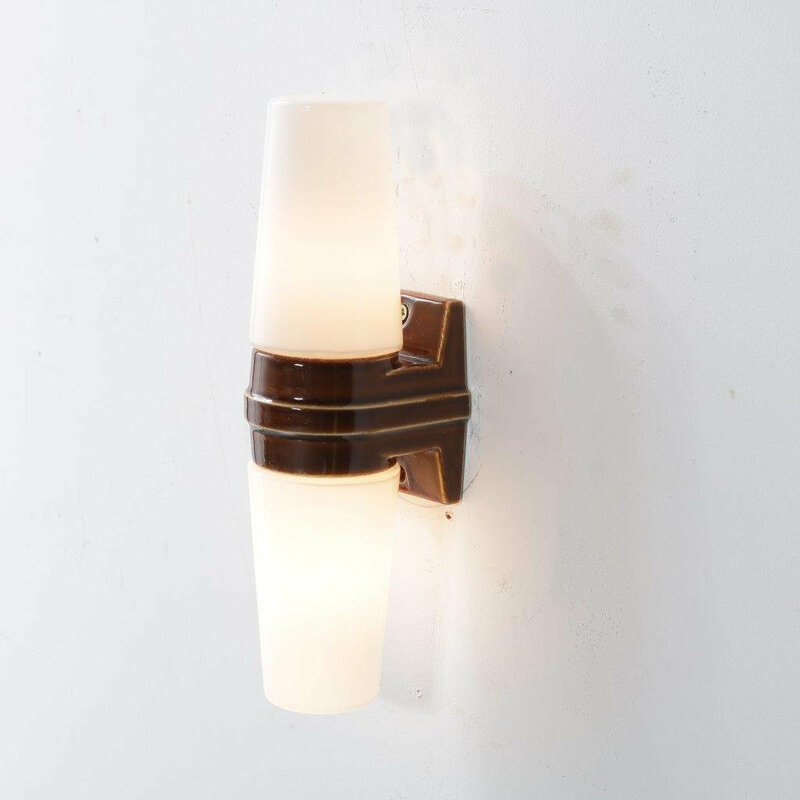 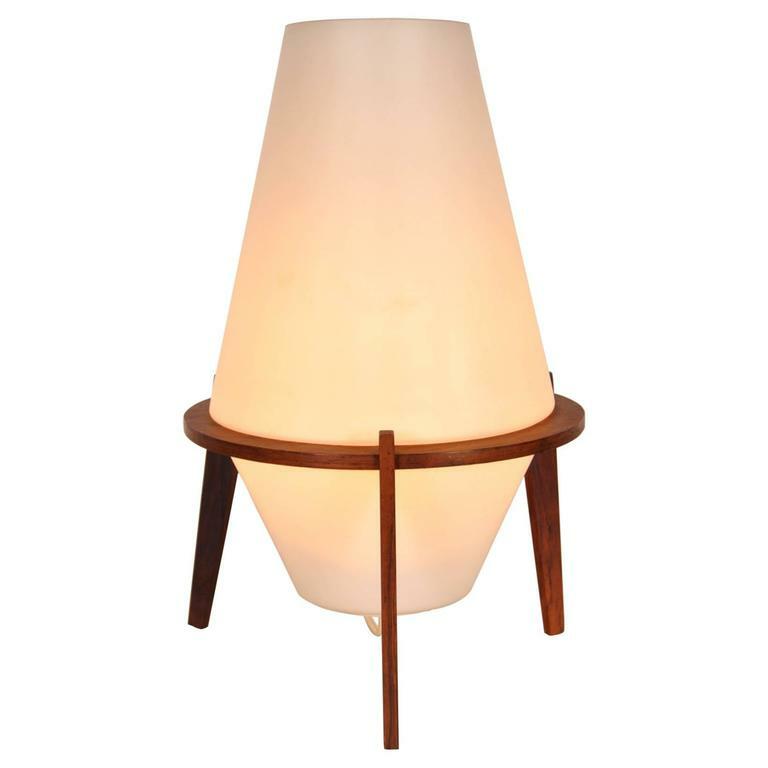 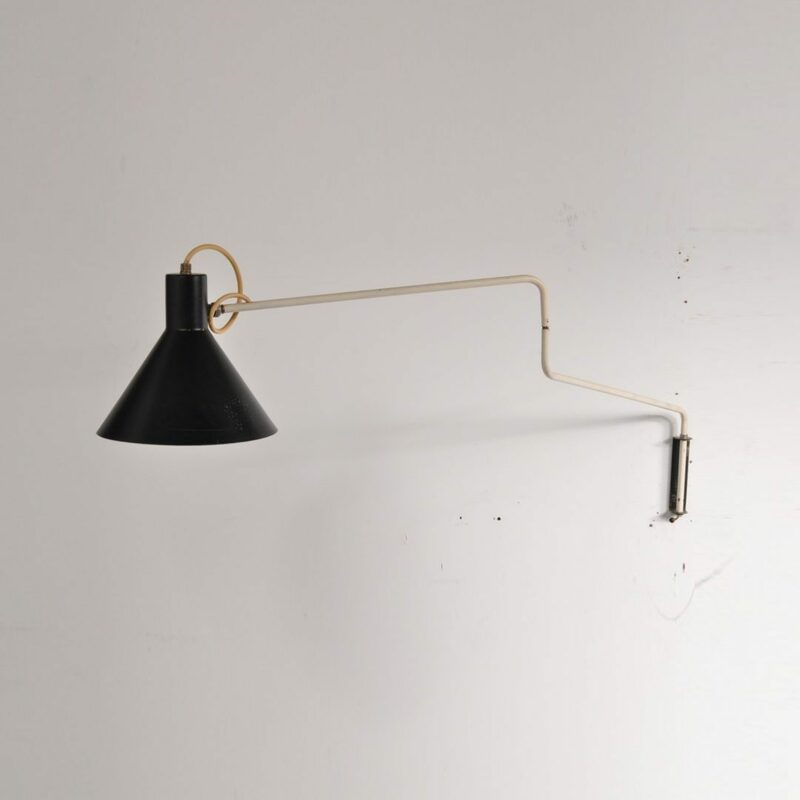 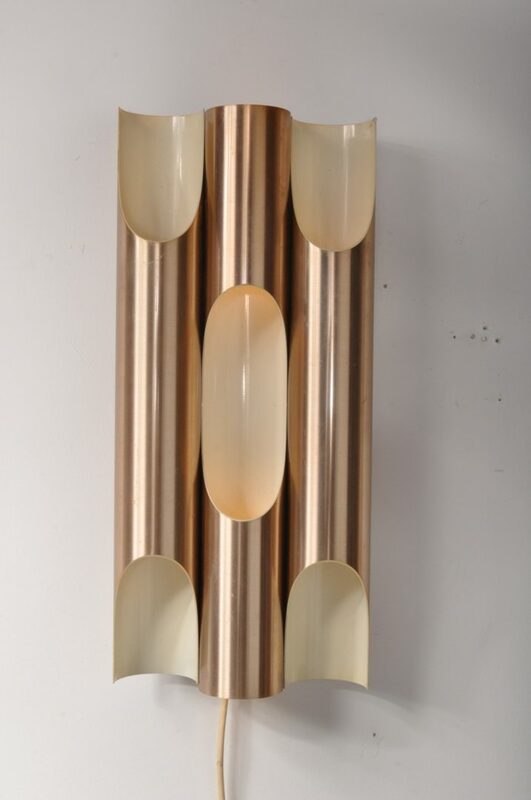 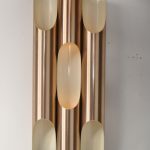 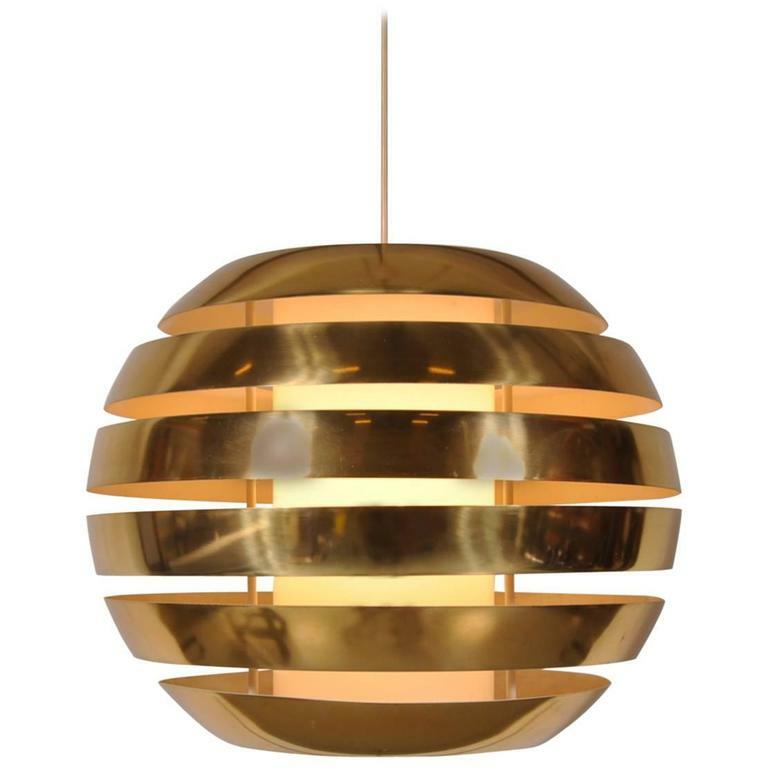 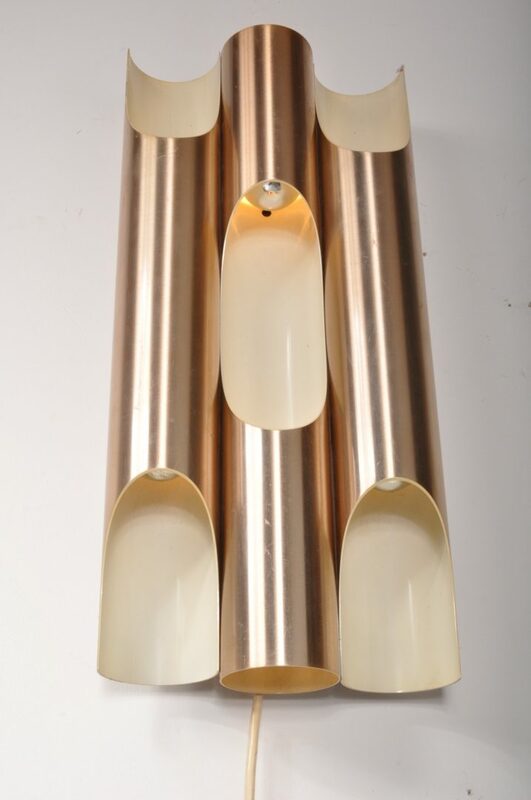 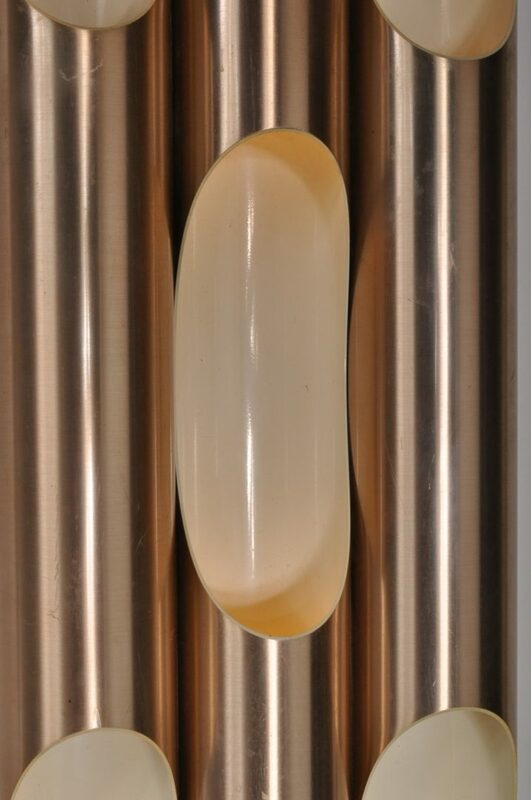 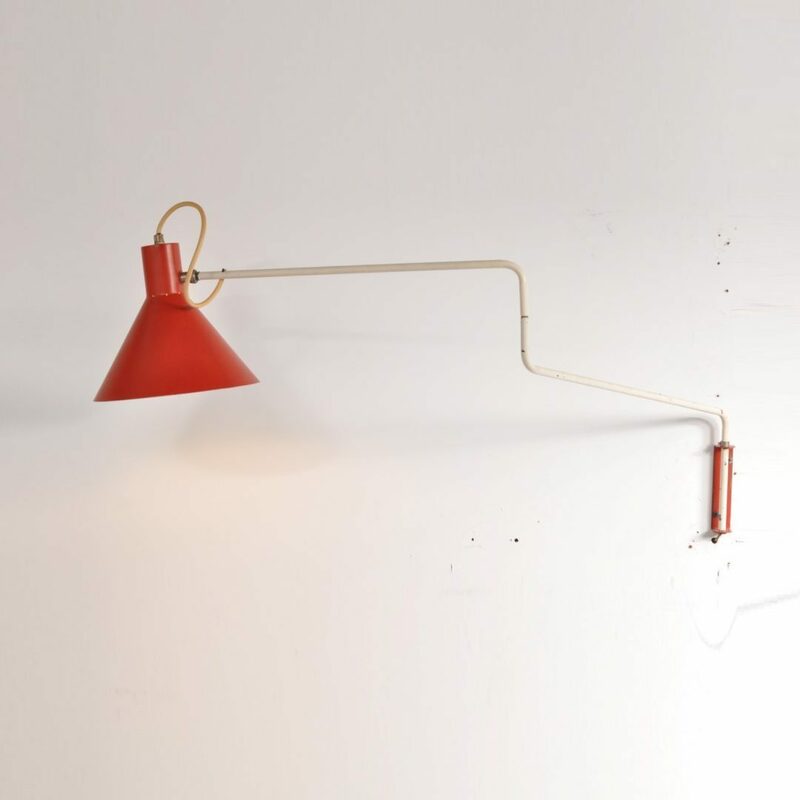 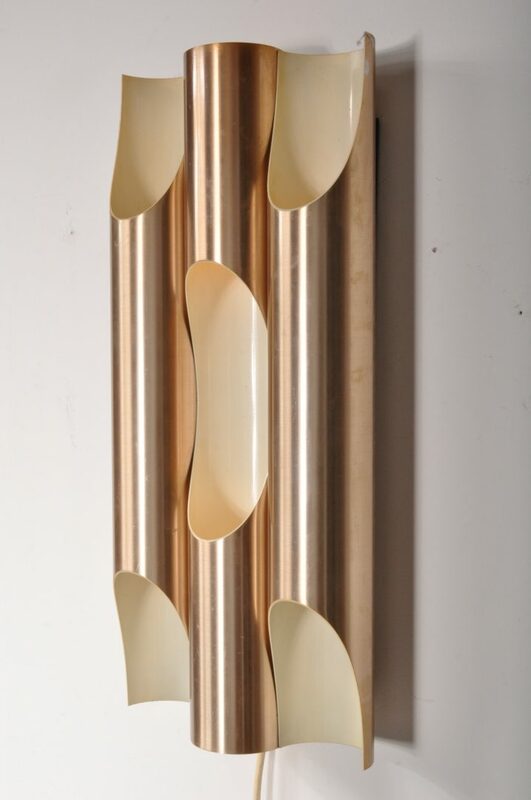 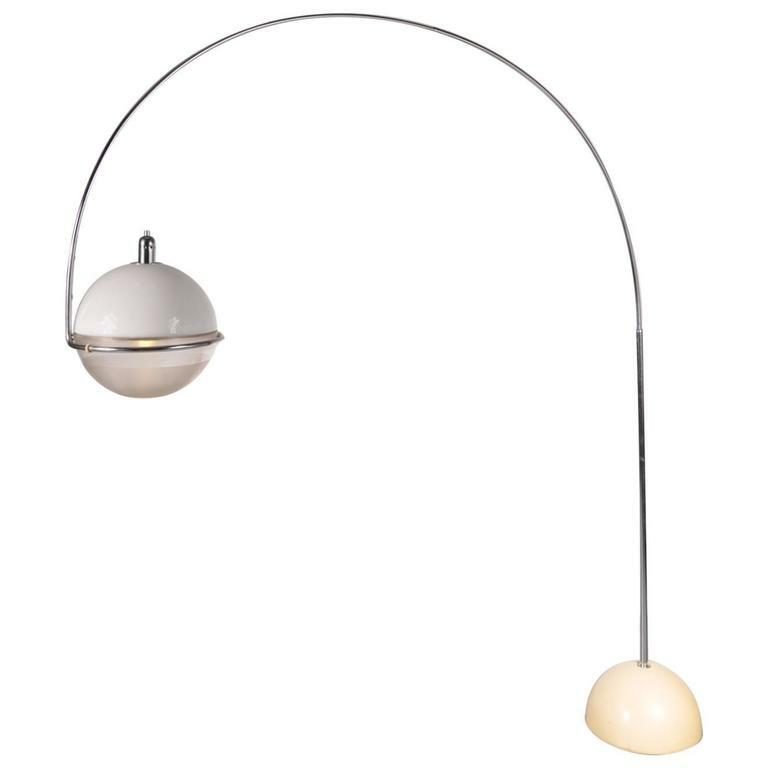 A beautiful large edition wall sconce, model “Fuga”. 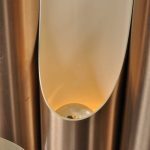 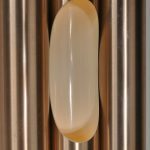 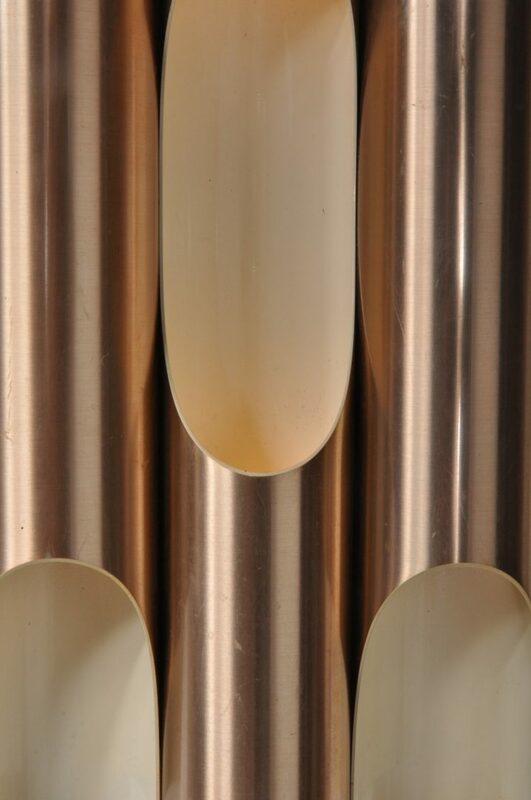 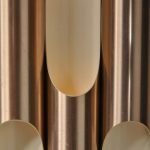 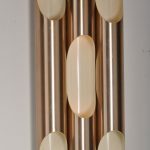 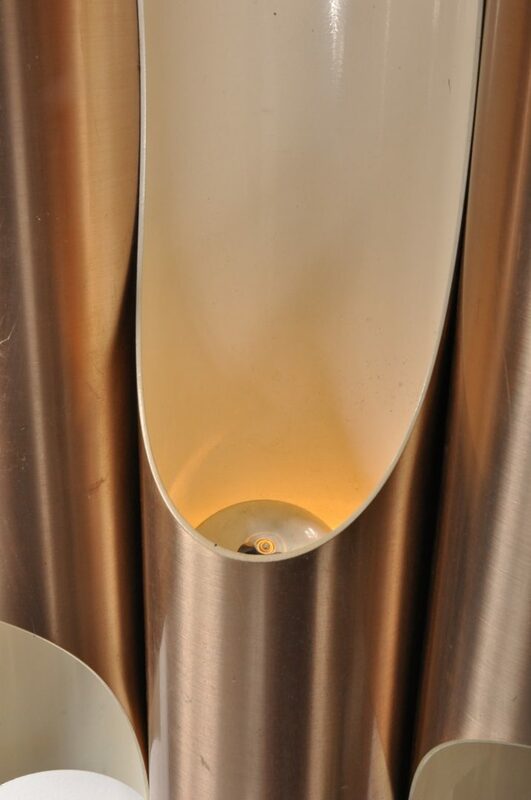 The cilinder shapes of the warm coloured cupper combine to create a wonderful unique style, the carefuly placed openings in the cilinders allow the piece to emit a warm, very appealing light. 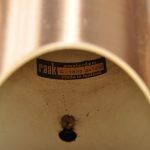 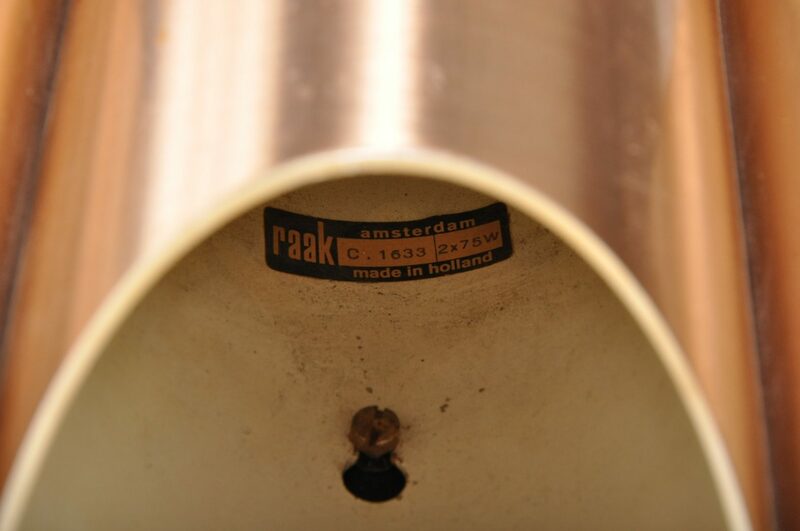 It is produced by famous Dutch manufacturer Raak in Amsterdam. 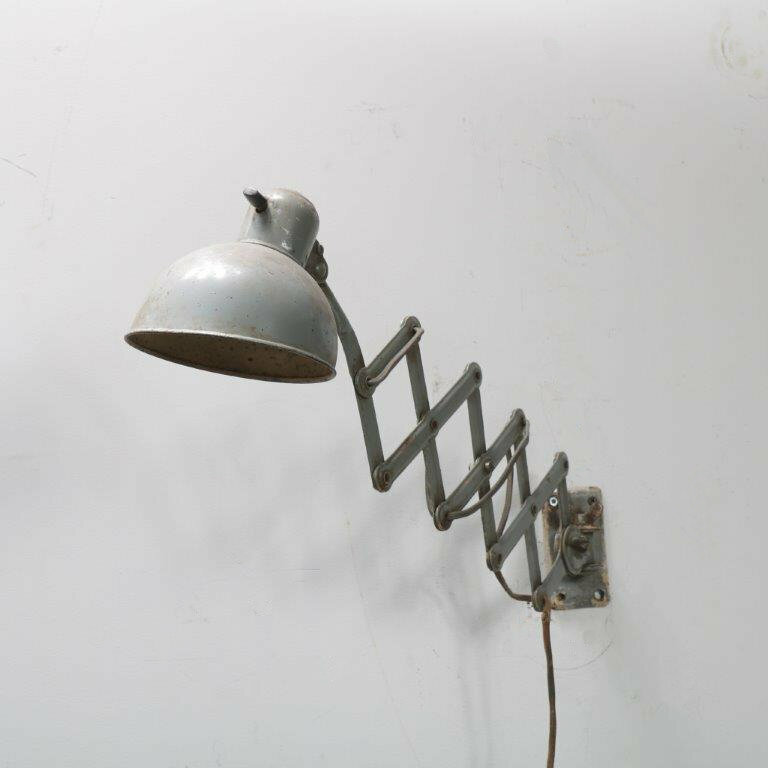 It remains in very good vintage condition.